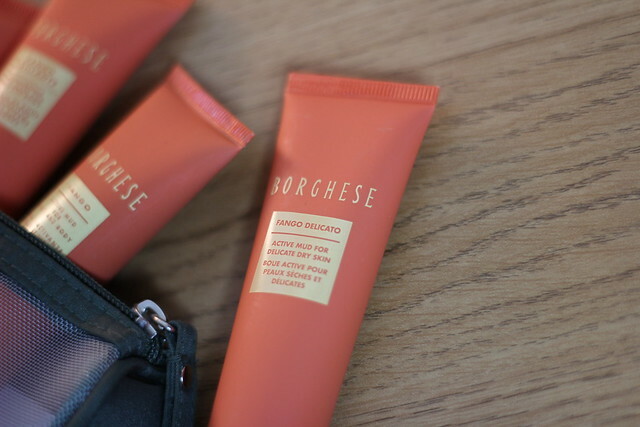 The first Borghese product I tried was the bath soak and it was love immediately (that stuff is amazing) so I already had a good feeling about the Borghese Face Masks before I even tried them. Firstly, the name of my favourite one for delicate dry skin (*raises hand*) makes me think of the ‘Fandango’ dance – which is a fun word to say, so this makes me happy. Of course, a good name doesn’t always make a good product – but in this case, it does. This mask manages to bridge the difficult gap between cleansing and moisturising – so you feel you’re having all the good pore-sucking effects of a mud mask, but not left with skin drier than the sahara post treatment. If you have combination skin then this couldn’t be much more perfect for you – it’s really lovely to use and does leave skin both clean and soft. A miracle to find in one mask at the same time – as usually I find myself having to choose between a deep cleanse OR hydrating, or mixing and matching to different areas of my face with different needs. Which isn’t exactly the end of the world, but is a pain. Whilst the Fango Delicato is my favourite of the little taster set that I’ve been playing with, the other versions included are: ‘Fango’ – the active mud for face and body, ‘Fango Ristorativo’ – the restorative hydrating mud mask for face and body and ‘Fango Brillante’ the Brightening mud mask for face and body. The Fango Ristorativo is the one I turn to if I am having a really dry/dehydrated day. The Fango one I find is a bit intense for my combination skin, but if you’re either normal or oily skinned then this will be great. The only one I am as yet to try is the Brillante version. 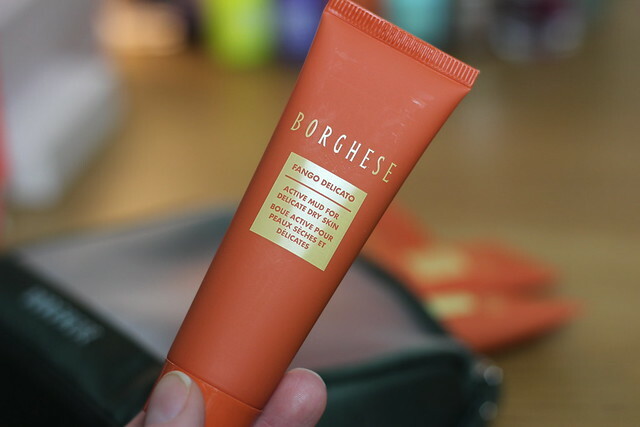 A selection of the Borghese Fango masks* are available in full sized pots on Cult Beauty (£50 for 17.6oz tub or £25 for 7oz tube). While you’re at it I totally recommend getting the bath soak – as I said at the beginning, it’s amazing. Thanks 🙂 I have a few that are a bit of a backlog. I have a bit more time to write now as have gone full-time blogger (eek!) so getting a few of the backlog posted 🙂 Glad you like! These masks look so nice :)! These look and sound amazing, especially the Fango Ristorativo one as my skin gets terribly dehydrated. £25 isn’t too bad a price to say I spend £22 at the minute on the origins masks, although I’m not sure what 7oz is converted to ml… I’m off to have a look!